Meguiar´s® revolutionized the polishing compounds category with its Ultra Compound. Its abrasive elements technology quickly removes small stubborn oxidations, light scratches and bird dropping stains while restoring car color and finish. You may use it manually or with a Roto-Orbital Dual-Action Polisher by Meguiar´s®. 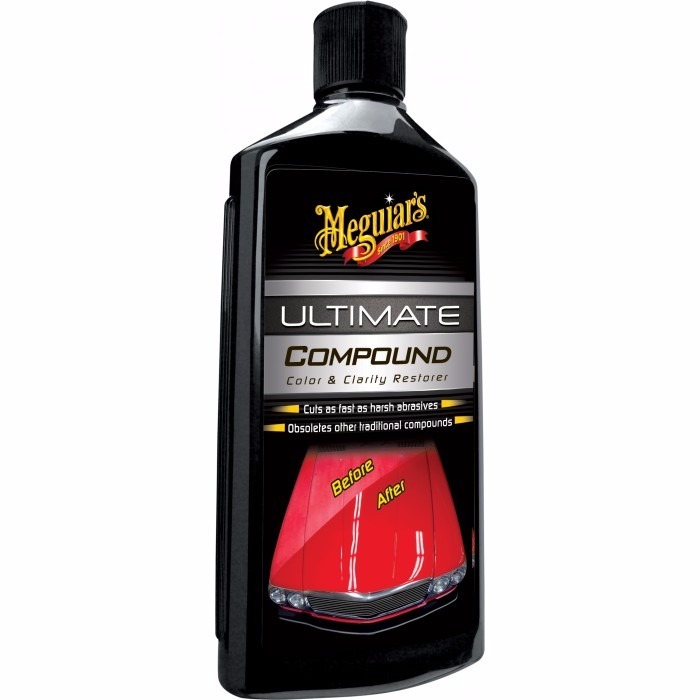 Ultra-Compound is the perfect choice for preparing car surface before using your favorite wax by Meguiar´s®.